CATON Board + Members, Circle of Academic Tour Guides, professional academic gguides, historical association guides, "Promote and stimulate, the highest quality, in academic level, tour guide activity, , professional quality , communicative quality ,of tour guides, didactic, , communication, flair, techniques, , marketing knowledge, by organizing meetings, conferences, lectures, and other activities. with a background in History, Art History, Archaeology and/or Architecture. with a good fit with clients who are 'culture vulture types' and with travelling groups from schools and universities. Welcome to this home page of the Circle of Academic Tour Guides (CATON). The circle was founded unofficially on April 13, 1998, and has opened its web site in 2008. Our primary aim is to "Promote and stimulate the highest quality in academic level tour guide activity worldwide." The circle has opened its web site in 2008. Our primary aim is to "Promote and stimulate the highest quality in academic level tour guide activity worldwide ." In practice, the Circle strives to enhance the professional quality and the communicative skills of tour guides, by organizing communication in didactic matters and in docent techniques, marketing skills, and in some cases through giving its support for relevant activities . Members of the Circle are kept informed of these activities through email announcements. "...one who is a deeply knowledgeable expert in the field of history, art history, archaeology, architecture, or another field of related expertise, and who is able to express this knowledge in an articulate, multi-faceted, enticing, exhilaring and fun way. In the day-to-day work our tour guides express both a lust for life and an enthusiasm for all of these artistic fields of human endeavour." Fast track entry in ALL Amsterdam museums. Avoid spending time waiting in museum queues. Enter the museums together with Kaldenbach. 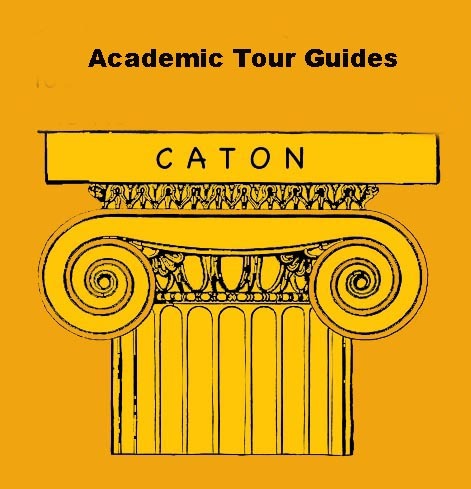 Membership of the Circle of Academic Tour Guides (CATON) is completely free. To join the Society, please contact Drs Kees Kaldenbach (chairman), kalden@xs4all.nl, and you will receive information on how to become member. Your name and web site will be listed here on the web site of The Circle of Academic Tour Guides (CATON). You will be able to meet the other members individually for inspirational meetings. Together we will express our fascination for history. Enjoy yourself and learn about history while strolling and discussing the country's history, art and culture. In doing so, we may touch many bases - spanning not only fine art and architecture but also the city's history and current social issues. 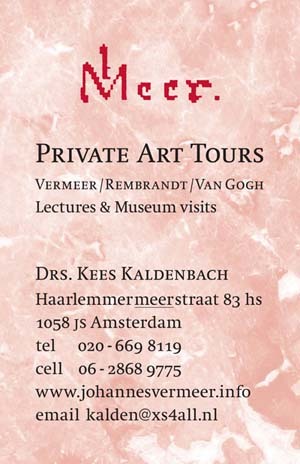 Starting at your hotel Drs Kaldenbach will take you on a wonderful private cultural walking tour of your choice. My guided itinerary offers you accessable informative conversation in English, Dutch, or German (my French and Italian are more limited). You may also arrange this VIP treatment for business contacts or friends. Our cultural tour organisation office will take care of a unique and memorable experience. Please contact me for time and fees of the tailor-made tour you ar interested in. These tailor made tours are available upon request - please contact me to book a date. Minimum group size: 1 person. Maximum group size is limited to about 10 persons. With a megaphone I can also manage larger groups on the streets. Drs. Kees Kaldenbach has been featured in television and radio documentaries, including BBC2 TV, NTV Japan, Danish TV and Radio Netherlands World Service. In July 2004 he was interviewed by leading Japanese newspapers. 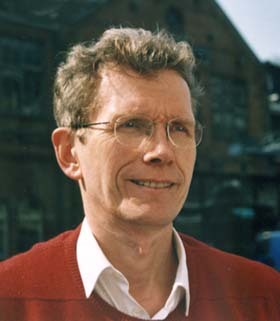 In 2004 and 2005 he acted in an advisory role to additional BBC teams. 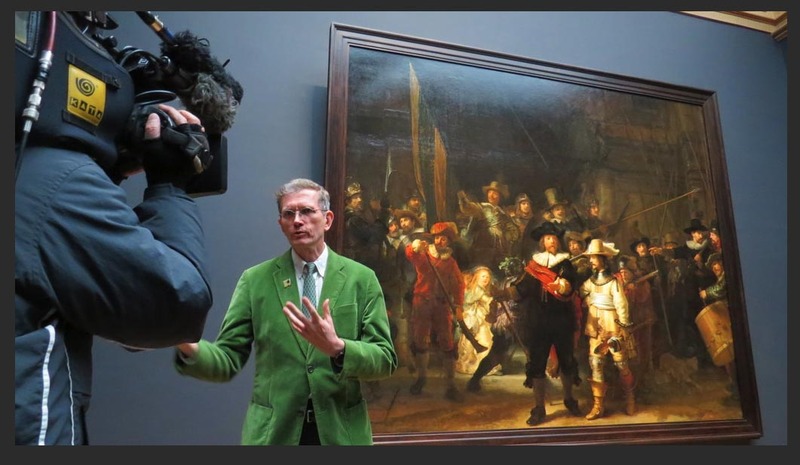 Kaldenbach has written extensively on Vermeer and 17th century Delft, on Rembrandt, Vincent van Gogh and on other art history topics. Member of the Amsterdam Chamber of Commerce (Kamer van Koophandel). Updated 13 July 2015, Update 14 October 2016.